Abdul Maikaba’s woes in Akwa United intensified as Enyimba’s Mfom Udoh solitary strike gave the People’s Elephant the victory over neighbours. 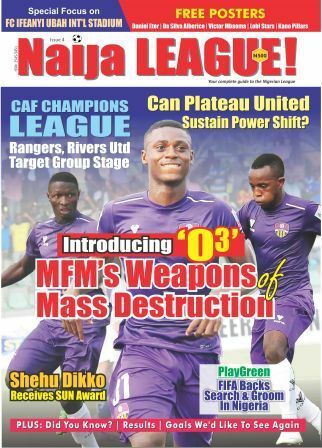 MFM FC also lost away to ABS FC while Niger Tornadoes got a shocking away win at Sagamu, where Super Eagles gaffer, Gernot Rorh, came to see a Nigeria Professional Football League game. After 90 minutes in Umuahia, where Sunshine Stars held Abia Warriors to a draw, coach of the team, Kayode Olujohungbe told pressmen that his side displayed the least of their performance, this season. Olujohungbe said his side was lucky, unlike other match days, to get a point away from their comfort zone. The outcome has taken the Akure Gunners away from the drop zone for now. Both sides got a goal in each half of the encounter. The visitors were the first to strike and then Sunday Adetunji equalized for the homers minutes after the restart. Abia Warriors’ fans were not happy with the team, not just for their drippy display, but also for failing to utilize the chance of playing double home games to secure maximum six points. Currently, the Umuahia based outfit sits on the top half of the log. Chidebere Ajoku increased his goal tally to four by scoring the only goal that saw his side win a very rare away game. The Minna based club claimed a 1-0 win at Sagamu. 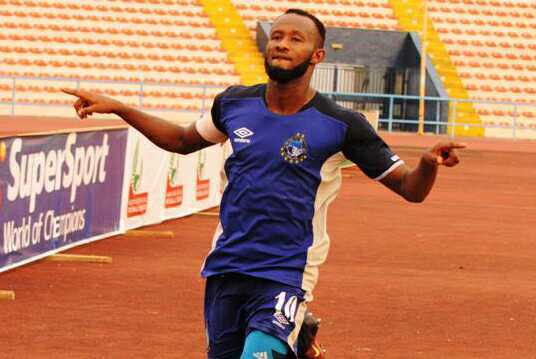 In Jos, Kennedy Boboye continued his habitual impressive early season sensation as he tumbled Ladan Bosso’s El-Kanemi 2-0 to remain on top of the table. The goals came from unlikely sources: Junior Solomon, Benin Republic defender and Jimmy Ambrose, a utility player whose predominant position is the defensive midfield. ABS FC hosted MFM and the encounter ended in favour of home side 1-0; same as that of Enyimba FC and Akwa United, which was held at the U.J. Esuene stadium, Calabar. Manu Garba return from a defeat at Umuahia and ran over visiting Nasarawa United. The game finished at 1-0, which leaves Gombe United 7th on the position with 10 points. Wednesday’s result drops The Solid Miners to the bottom four.